There are always mixed emotions towards Samsung’s use of plastic for their devices, but it has become their calling card for now. 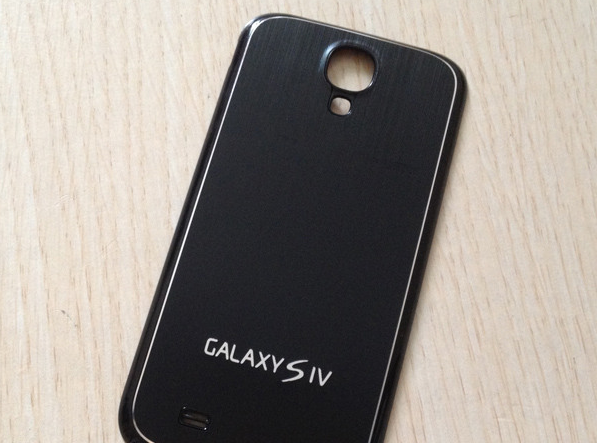 For those who want a Galaxy S4, minus the plastic feel, you can pick up one of these metal back covers off of eBay. They come in a large variety of colors (purple, blue, red, etc. ), which should make identifying yours from the seas of Galaxy S4s out there pretty easy. They cost just $10, which doesn’t seem all that bad for a classy accessory such as this. Although, you should note that using a third party case such as this has the chance of killing off your NFC capabilities as well as reducing signal strength. Just something to keep in mind. Samsung Calls Galaxy S4 Design Just an "Evolution" and "Like Nothing You Have Ever Seen Before"